First time post, I live in Brisbane Australia. 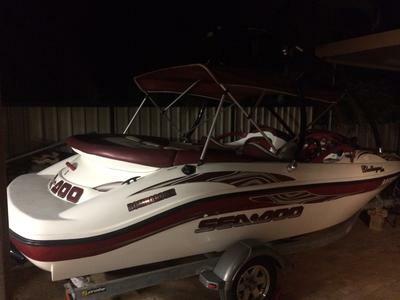 I have a Seadoo Challanger mercury 210hp M2 Jet. Launched boat at low tide and and started motor in to shallow of water and it has picked up some mud causing the overheat constant beep to come on. Pull boat back out at boat ramp and flush motor and a little bit of mud came out, put boat back in and alarm still going off. Take boat home spend next 5 hours flushing water through to only remove small amounts of debris. Thinking it might be right put boat back in next day, boat going nice for couple of minutes until alarm goes off grrrr.Plenty of water coming out the backof water hole. Any suggestions how to flush with high pressuer as factory flushing set up is very poor.